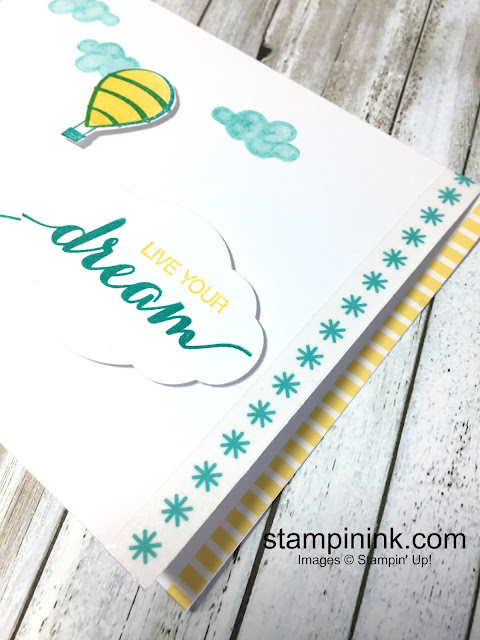 STAMP used for this cute card is the Dare To Dream which is a hostess stamp set. 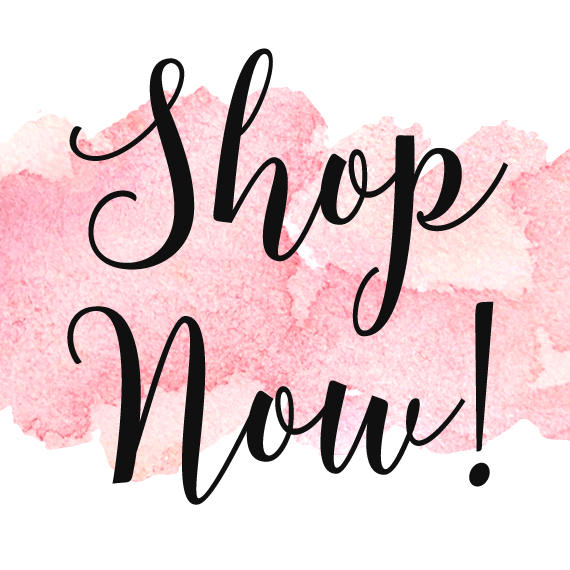 It is yours for only $10.00 with a qualifying purchase. PUNCHED that fluffy white cloud out using the new Pretty Label punch and adhered it with Stampin' Dimensionals. EMBELLISHMENTS can make a card. I LOVE to use them as much as I can. I cut a 1/4" off the right side of the front flap of a 5 1/2 x 4 1/4 card base and adhered the Daffodil Striped Washi from the Basics Pack 2 onto the bottom right side of the card. Then I used the Bermuda Bay starburst image Washi from the Basics Pack 3 to line the outside edge of the right side of the front of my card. CARDSTOCK .....just used Whisper White Card Stock. Easy Peasy! MORE EMBELLISHMENT! - I used the clear Wink of Stella Brush to give those clouds a shimmery look. They just pop off the card! 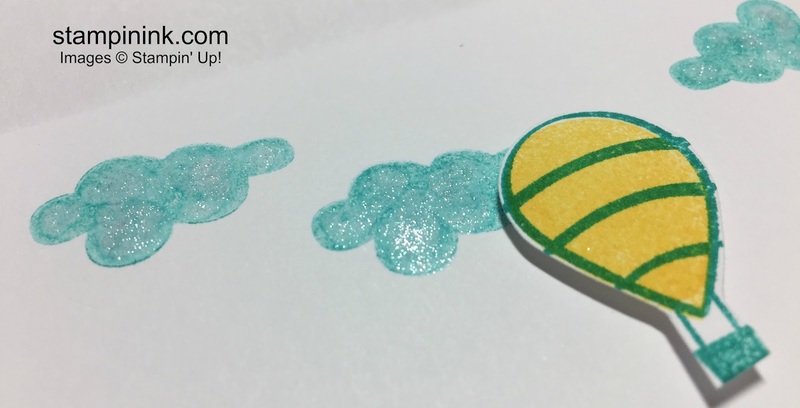 The hot air balloon was stamped and cut out by hand and added with Stampin' Dimensionals. I hope you like it. Thanks for stopping by my blog today. 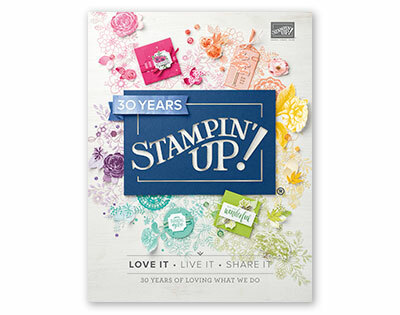 Until next time.....Happy Stamping!